We make known the love of God and the beauty of God’s creation through song, learned from many cultures and many faith traditions. 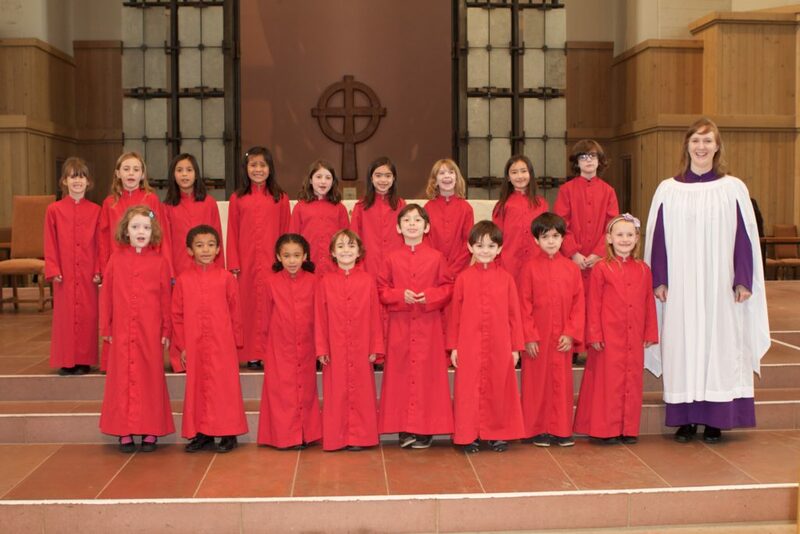 Saint Mark’s Choir School singers are ministers of music. We aspire to teach, to learn, to inspire and to lead the varied communities of Saint Mark’s Cathedral, the Diocese of Olympia, and the city of Seattle through our work as liturgical ministers. All children are welcome in Saint Mark's Choir School. Saint Mark’s is a member of the Royal School of Church Music in America (RSCM). The curriculum, based on RSCM’s Voice for Life, emphasizes well-rounded musicianship as well as life long growth in music and faith; vocal and ear training as well as theoretical knowledge; and ministry through liturgical leadership and community service. Enrollment: Enroll your child using the online Choir School Registration Form. Enrollment is welcomed throughout the year but mid-year start dates will be determined by the Choir School staff. Tuition: $100 per semester; Tuition may be paid online here. Check payments can be made to "Saint Mark's Cathedral" noting Choir School on the memo line. Scholarships: Tuition should not be a barrier for interested children. For families that find full tuition a hardship at this time, partial scholarships are available. To be considered for scholarship assistance, families are asked to complete the Financial Aid Application Form. The complete form should be submitted to the Scholarship Committee through Madeleine Stephens, Choir School Administrator. Calendar: You may access calendars for each Choir below, in Google Calendar or PDF formats. 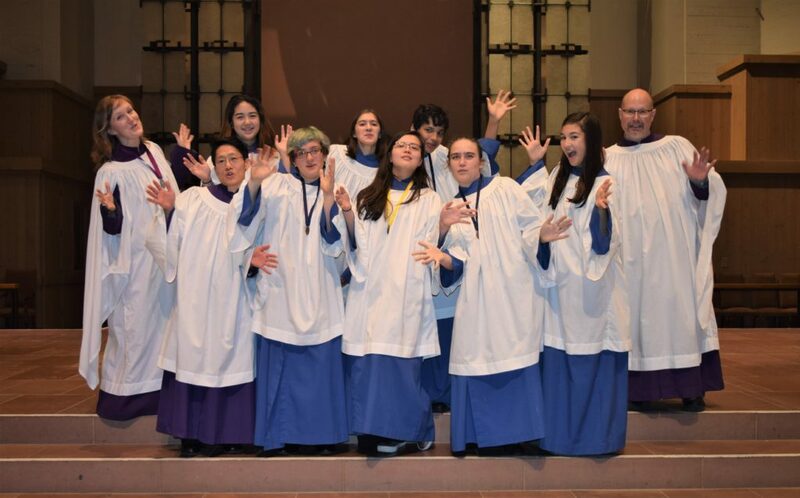 Who are Saint Mark's Choristers? 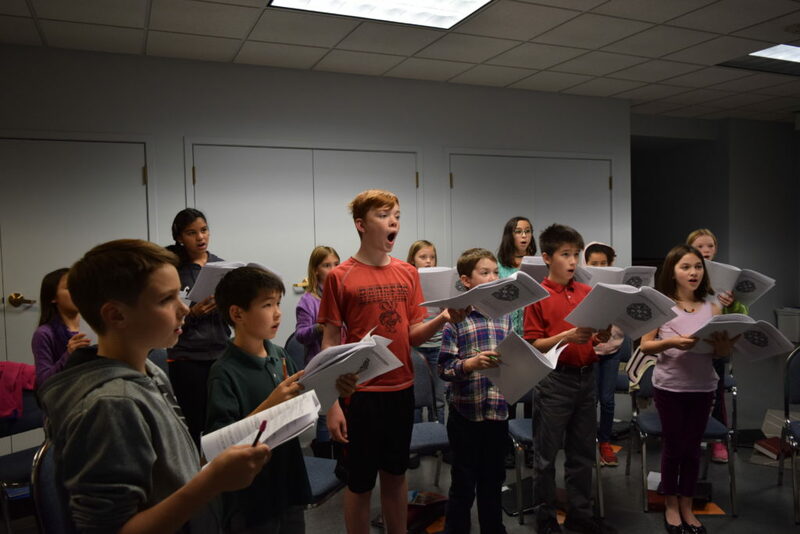 Rehearsals: Tuesdays, 4:45 – 6 p.m. or Wednesdays, 3:30-6 p.m.
Our youngest choir, where singers learn basic musicianship skills in a fun and engaging atmosphere. Their music is drawn from a variety of cultures and sung in a variety of languages. They sing primarily at Sunday morning services about once a month. This choir sings at Sunday morning services about once a month. Members receive small group instruction in musicianship, vocal technique, and liturgical ministry. Rehearsals: Wednesdays from 7:30 p.m.- 8:30 p.m. This choir sings at Sunday Eucharists once each month. 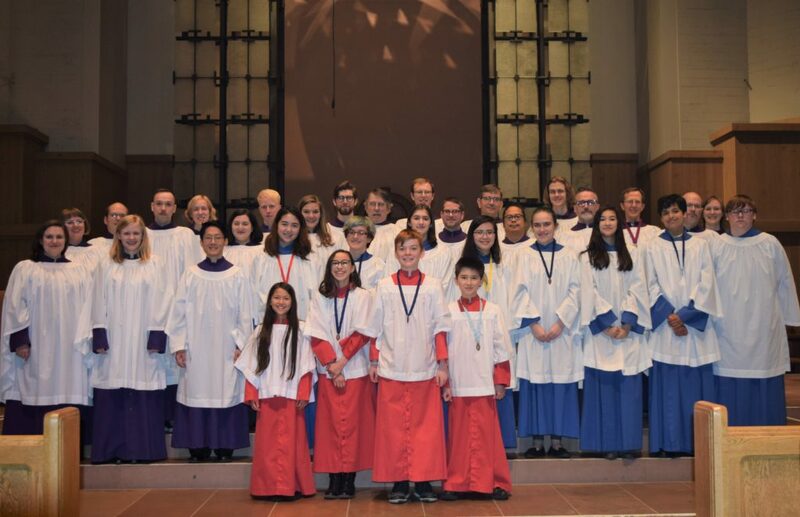 Members are expected to lead the Choir School in behavior and bearing, and receive advanced small group instruction in musicianship, vocal technique and liturgical ministry. Special events include: Children’s Choir Festival, Tours to local Parishes, Pentecost Run/Ride at Greenlake, and more. Our most advanced Senior Choristers will be invited to join this group to sing with the Cathedral Schola and adults for Evensong Services. Membership in the Senior Chorister choir is required to be considered for the Evensong Choir.